One of my favorite daily activities here at Collectors Weekly is talking to all of the colorful and knowledgeable collectors I come across. I learn about a plethora of interesting collections as people describe them to me, but I can only conjure up visuals in my head of what their display rooms might look like. In my previous fall semester at the Academy of Art University, San Francisco, I was given an assignment to make a group of portraits. As I sat confused about who to photograph, something sparked in my brain and I immediately went to the computer to start my research. I emailed numerous collectors in the Bay Area in hopes that they would invite me to photograph them with their collections. I found some quite interesting collections, from egg beaters to Eames furniture, and I couldn’t wait to start my adventure. Here’s a soul record enthusiast and collector of 45 rpm vinyl records. 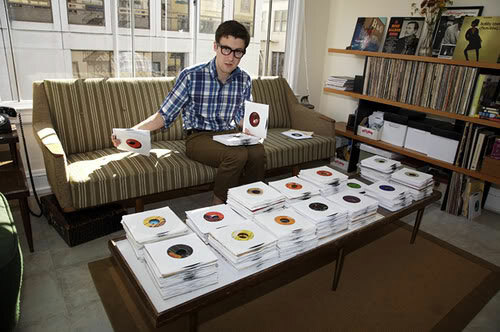 His very neatly organized collection is used to D.J. soul events at various night spots in the city. People come from all districts to groove their bodies and tap their feet to his classic tunes. With his persona and the atmosphere he creates, you might forget it’s the 21st Century. This collector’s kitchen was filled a sea of antique and vintage spice tins, they were even hiding in the vintage cookie jars! I had never seen anything like it. It was nostalgic for me because my family always brought out the spice tins to cook during the holidays. Not only were there spice tins, but china plates, signs, baskets and more. I also had the pleasure of photographing a couple who collects vintage design books. It was so much fun to watch them pull their favorite books off the shelf and stack them up. They kept asking me how many could be in the photo, I had the feeling they’d have laid the whole shelf out on the floor if it was possible. 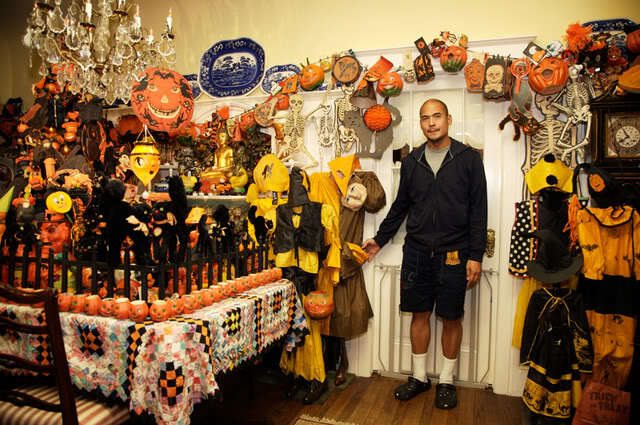 A breathtaking collection of vintage Halloween decorations. The Victorian Era decorations were my favorite. There were even costumes from the 1930s and ’40s. The Halloween spirit will make you giddy and wish you were young enough to trick or treat again! Keeping with the holiday spirit, this collection of Christmas decorations made me feel like a kid in a candy shop! 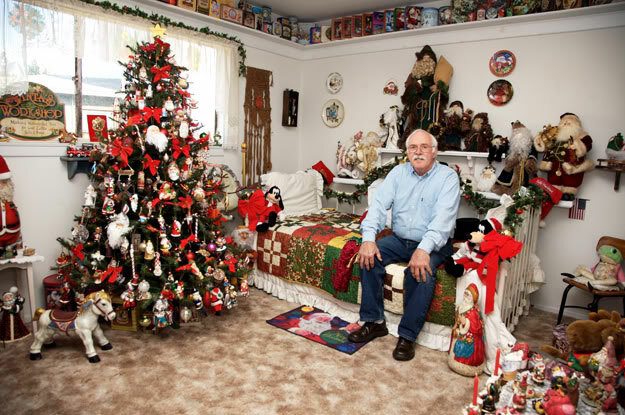 Every room had a different theme: Frosty the Snowman, Santa Claus, teddy bears, and even little porcelain winter villages filled the living room. It was like his own winter wonderland all month long. This Eames enthusiast had a humble collection of some great Mid-Century Modern Eames collectibles. Games, clocks, photographs, books, tables, chairs, it all transported me to another era. Not to mention there was jazz music playing to really complete the atmosphere. Check out more of his collection at Eamescollector.com. I hope I can continue meeting passionate collectors and explore amazing collections. 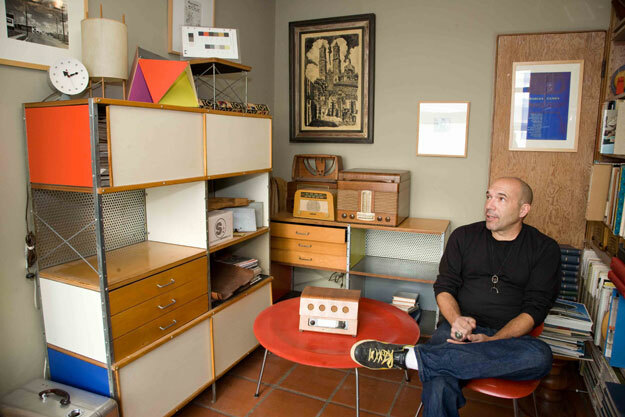 I was delighted with this coverage of Bay Area collectors not just because I was included in the mix, but to see the many different objects we folks gather. What an inviting and fun spread! Neat idea! I love to see other collectors’ collections. I loved looking at all of these collections! 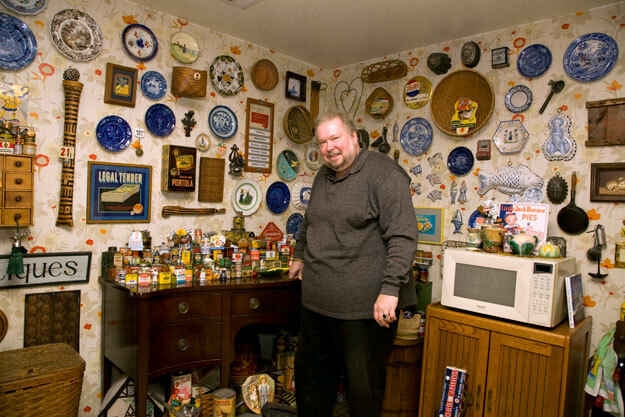 I have collected things , like tins, since I was a child. I also collect bottles, insulators, and love the variety you pictured in your articles. Halloween was Great, and so was Christmas! Was really happy to see so many young people collecting things! This is a very interesting article. It’s nice to see collectors with their collections. Often, collecting is a solitary endeavor, and as a result, the collector rarely may have an opportunity to share what they’ve amassed. I hope to see more collections in the future. Love these pictures of different collections, in various homes. I especially loved the kitchen walls filled to the ceiling and covering all the kitchen walls. My own kitchen walls were covered with various “kitch” items plaster, and plastic kitchen wall pockets, and plastic napkin holders from the 50’s. I too, had filled the walls to the ceiling and would just sit and enjoy!! It gave the place a nice “warm” and cozy feeling. Clutter? to some, maybe, but to me it gave the place class. It was nice seeing other collectors with various collections, just like I do. I am collecting everything that is related to snowman. Even though we don’t experience winter here in the Philippines, I want to enjoy collecting every piece. So far, I have collected more than a thousand of them, and still trying to collect more. Kudos! “ ” Traditional media sites love reporting on the armada of young adults who can’t get enough of sparkly unicorns and rainbows.